that stretches all the way around the globe. 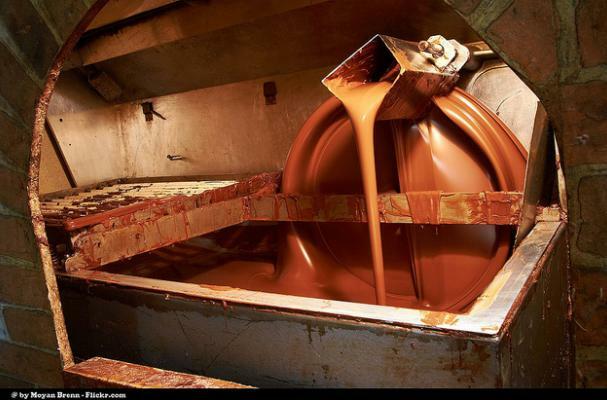 Despite all this built on top of it, the actual process of making chocolate is deceptively easy, although the many companies which engage in coco production do employ a series of top of the line processes to ensure that nothing strange ends up in the final product. The infographic below lists and simplifies the entire process. From the quality testing to the coco bean mashing, it's all listed with a bit of witty British charm.